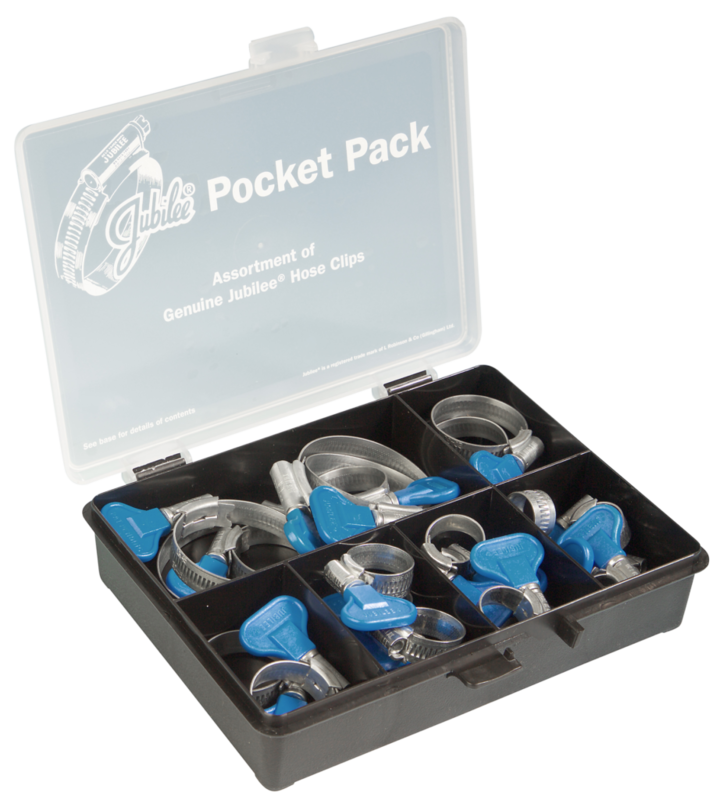 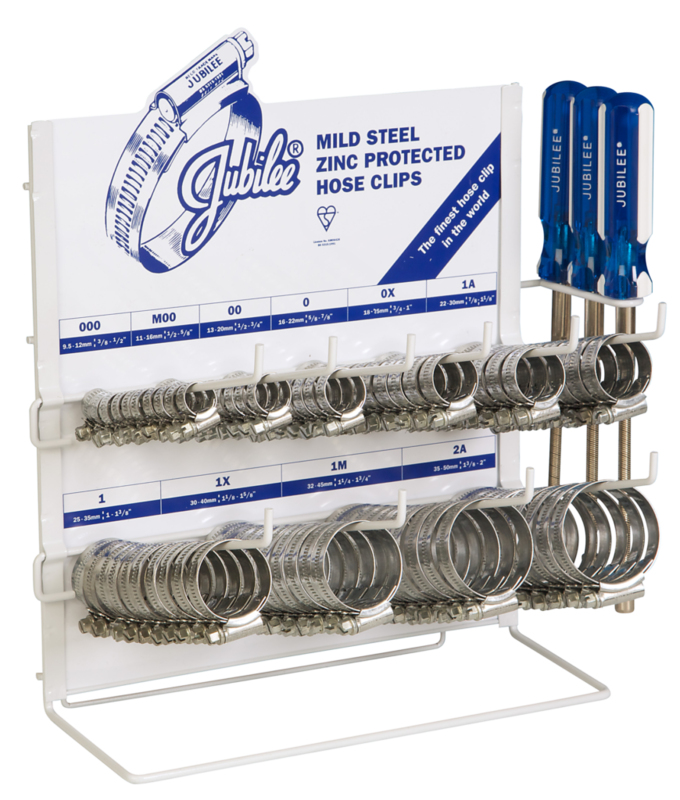 This apposite pocket pack contains 22 mild steel Jubilee Wingspade clips covering fittings from 9.5mm-55mm. 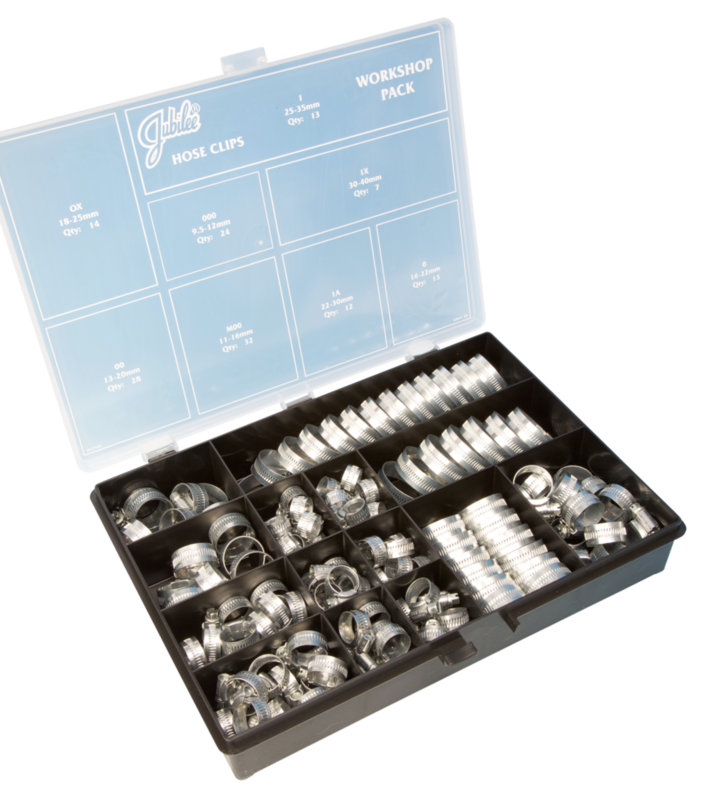 Also available with mild steel, 304 or 316 grade stainless steel Jubilee ‘original range’ clips or Jubilee Junior clips. 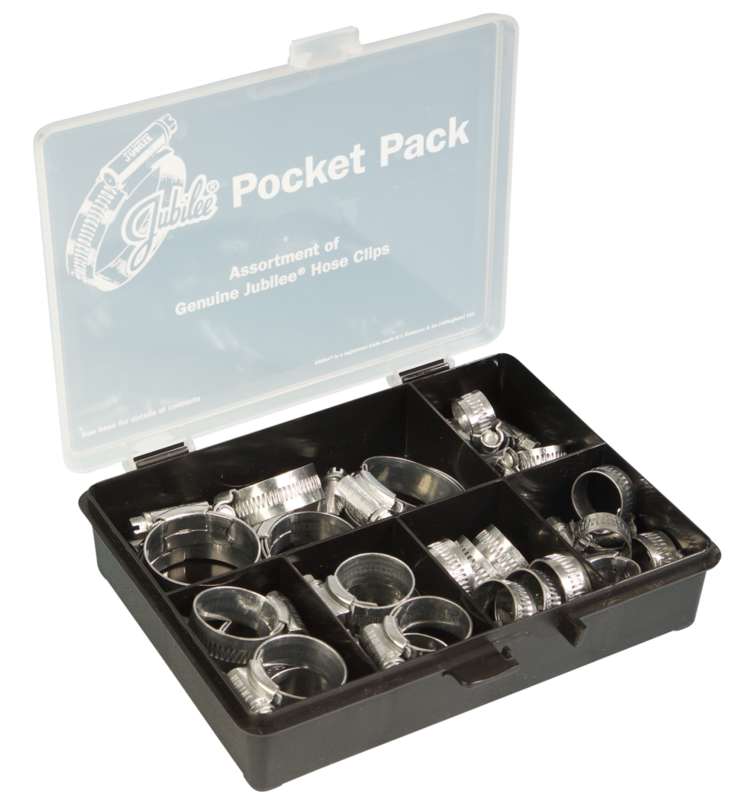 See ‘Assorted Packs’ for details.